Why You Should Have a Dessert Bar at Your Wedding | Amici's Catered Cuisine, Inc.
Life is short, which is why Amiciâ€™s Catering always says yes to dessert! When it comes to your special day, you should be showered with love and chocolate. 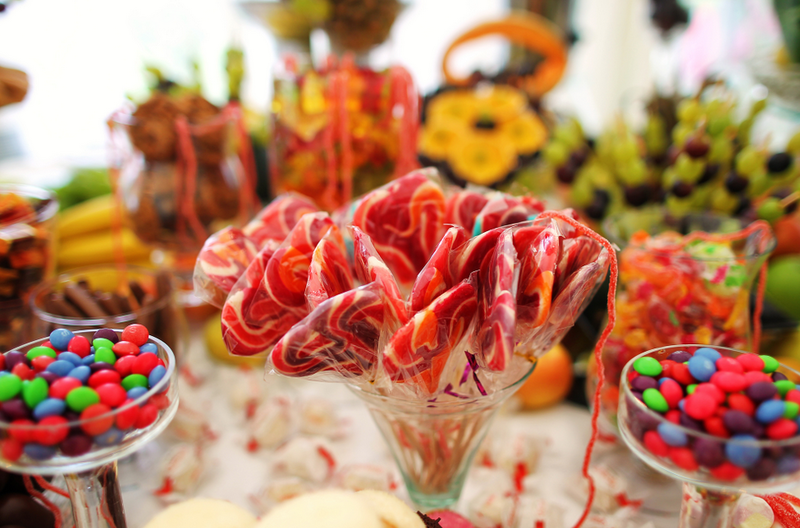 Below we have three reasons why you need a dessert bar at your wedding. Traditionally, cake has been the dessert of choice at weddings, but we say why stop there? Dessert bars a great addition to your wedding cake because it gives your guests a variety of options. From donuts, brownies, cupcakes, candy, oh my, the possibilities are endless. Dessert bars are a fun way to decorate your reception area. When looking for catering companies in Tampa, look to a company that prides themselves on their presentation. Amiciâ€™s Catering can help make your dessert bar a decorated area that will surely catch your guestâ€™s eyes. We love incorporating rainbow colored lollipops and old-fashioned candy signs to make it look like an antiqued candy store. We love dessert bars because it can cater to your guests with allergies. Our skilled chefs can accommodate for vegetarian and diabetic diets, along with gluten allergies. Having multiple desserts created with different dietary needs in mind allows your guests to enjoy themselves while eating delicious food. If you are planning your future wedding and are seeking catering companies in Tampa, look to Amiciâ€™s Catering to help you achieve the menu of your dreams. Contact us today at (813) 693-5104 to learn more about our services.